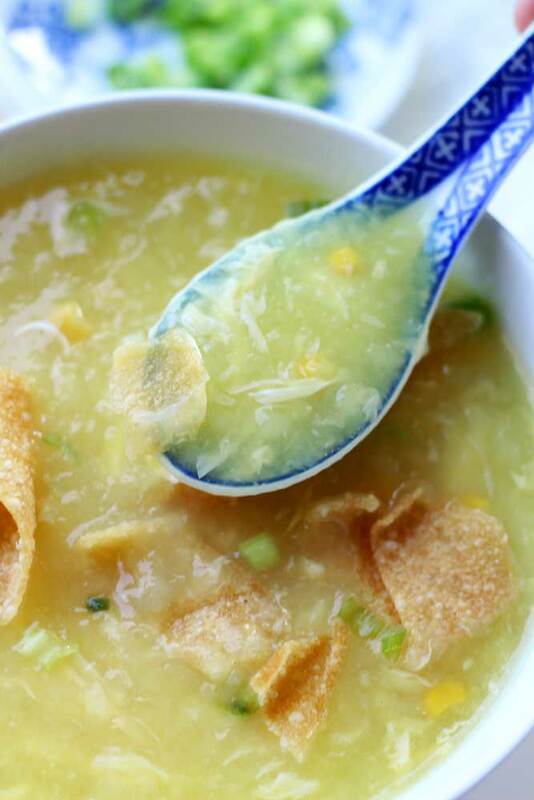 The creamy flavor of egg drop soup is so fulfilling and satisfying! The savory goodness of this soup can be eaten anytime! It’s so filling and full of flavor! Enjoy this soup with your lunch or as a snack! It’s also a great substitute for chicken noodle soup when you are feeling under the weather! I love egg drop soup so much. It’s probably my all time favorite soup ever! There is this Chinese restaurant down the street called Hong Kong Kitchen that has the most amazing egg drop soup. Like…better than I’ve had at other chinese restaurants. Aren’t hole in the wall places just the best!! I order the egg drop soup from their restaurant about 2 to 3 times a week…no I’m not joking. That’s how much my kiddos and I love this soup. Oh and not only do my kids eat egg drop soup…they devour it! I buy it by the bowl and that means it comes in this huge container that lasts us at least 2 days. If I go back and calculate how much money I’ve spent on this soup at the restaurant, I’d probably be in shock! So I decided to make my own homemade version of egg drop soup for myself! Oh man…and it turned out fantastic! This recipe is so savory and so easy to make! Thank goodness I found this recipe…I can now save some money! Well kinda…I will still go to my favorite hole in the wall restaurant and order this soup because well, I like them and I support small businesses! Ok guys…gluten free. Let’s talk about this for a minute. 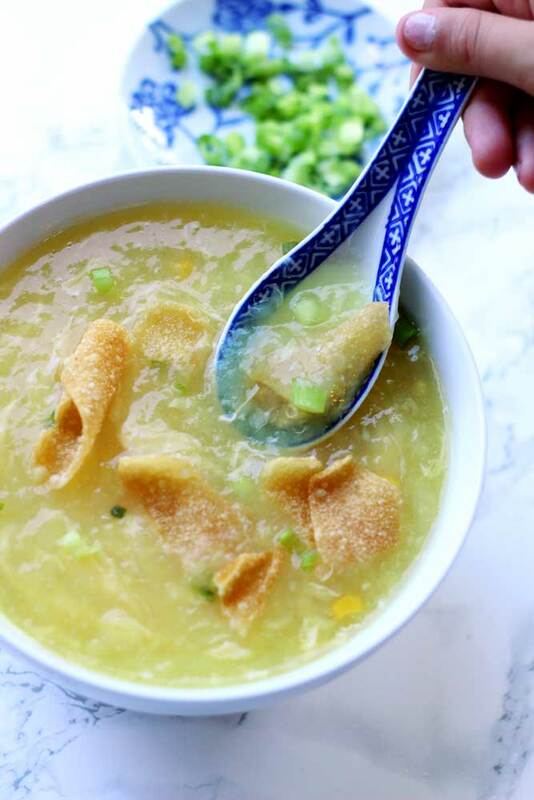 This soup is gluten free, but those crispy wontons you see below are not gluten free! My son likes to put the crispy wontons in his soup. If you do add crispy wontons, just know they are not gluten free. That’s all I’m saying. Personally, I like to put fresh chopped chives in my soup, as well as some corn. And sometimes some tofu. Look at that…I unintentionally made this a super versatile soup! That’s the fun part about this recipe…you can easily change up some ingredients! Right now in Arizona, it’s crazy hot outside. Like 115 degrees fahrenheit crazy hot…but yep, I still eat my soup. I eat soup year round. It can be perfect on a cold day or a hot day…it doesn’t matter to me! As long as it tastes good and is full of flavor, I’m all set! Like these soups….ok now I have to share more of my soup recipes with you since I bragged about being a soup eater. Some of my most popular soup recipes are my Asian Chicken Noodle Soup, my Leftover Turkey and Rice Soup and my Tomato and White Bean Soup with Grilled Cheese Dippers. All my soups are fabulous and this Egg Drop Soup is no exception! It’s full of flavor and satisfying no matter what time of year you eat it! Happy eats friends! 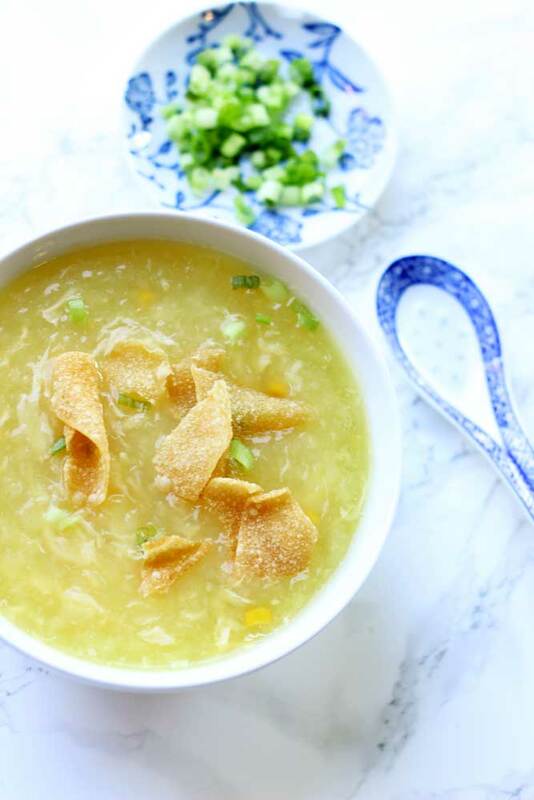 The creamy flavor of egg drop soup is so fulfilling and satisfying! The savory goodness of this soup can be eaten anytime! It's so filling and full of flavor! Enjoy this soup with your lunch or as a snack! It's also a great substitute for chicken noodle soup when you are feeling under the weather! Bring the chicken stock to a simmer in a medium-sized pot. Stir in the sesame oil, salt, sugar, and white pepper. Next add the cornstarch mixture. Make sure the cornstarch and water is mixed well. It tends to get thick the longer it sits, so mix it well. Stir the soup continuously as you slowly add in the cornstarch mixture. You can use more or less starch if you like a thicker or thinner soup. Slightly beat the eggs. You don't want a scrambled egg mixture...you want the whites and yellows of the egg to be nicely swirled together. The speed at which you stir the soup when adding the egg mixture will determine whether you get large swirly bits of eggs or smaller ones (hence the name egg drop soup. Once you are happy with the soup's consistency, use a ladle to stir the soup in a circular motion. Slowly drizzle in the egg until you have added it all. Ladle the soup in a bowl and top with scallions and you are ready to serve! 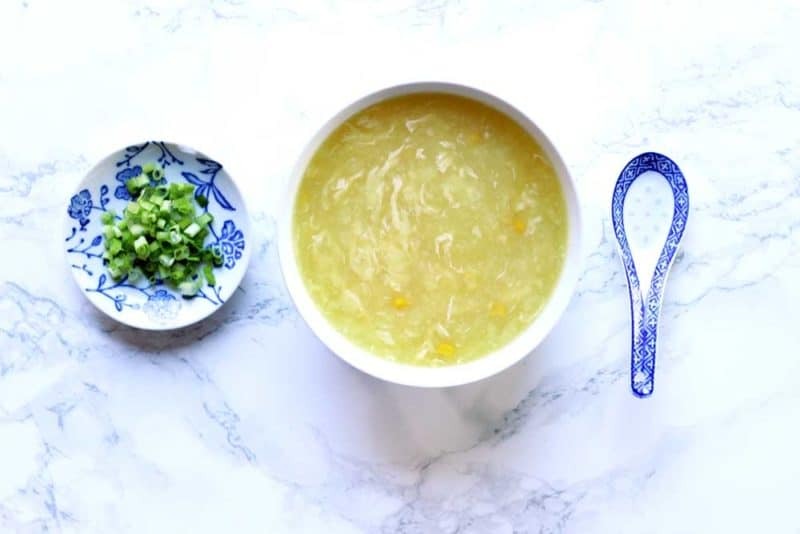 Don’t forget to pin this EGG DROP SOUP recipe to your favorite SOUP, CHINESE and LUNCH board on Pinterest!! I love watching the egg mix in while the soup is swirling. It’s almost hypnotic, this looks declious! I know – who would have known it would be so easy! 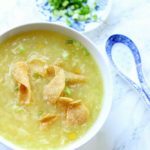 I have never tried egg drop soup before, but have seen it all over Pinterest and it looks interesting! Will definitely need to try! I have only ever had this at a Chinese restaurant before, but I am going to have to try making it myself as it looks really easy. Yes – super easy! enjoy! Just dont over beat your eggs! That determines the thickness of the egg froth in the soup! Time has come. I must try egg drop soup. Reading your post gave me the inspiration (and recipe :-)) I needed. Thanks! I know – I was shocked at how easy it is! Enjoy!